If you’re in the market for a new kitchen tap, you might feel a little overwhelmed by the sheer range of options available. By choosing a tap that’s right for your kitchen and bathroom, you can help ensure it looks the part – and functions well, too. A single-lever tap comes with a single spout and a large lever at the top. They’re a great choice where space is tight, and they’re simple to operate, too: move the lever left or right depending on whether you want hot or cold water. Ceramic-disc single-lever taps allow control over speed of flow as well as temperature. By moving the lever from left to right, the temperature and flow can be altered – giving you very precise control without taking up too much room. 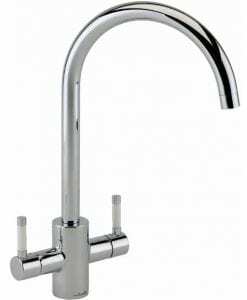 A Monobloc tap is similar to the single-lever tap in that it comes with a single large spout. The difference is that this spout is controlled by two handles on either side, rather than one in the centre. Monobloc taps are a popular choice in kitchens since the position of the handles makes them really easy to access, and that means the spout itself can be bigger. A pair of pillar taps consist of two separate units – one for hot, the other for cold. They’re a great choice for those on a budget – and they’ve got a classic appeal that makes them enduringly popular. Like Monobloc taps, they can be equipped with lever, cross, or knob-shaped handles. Should you choose a mixer tap? Each of the styles we’ve mentioned has its own merits and drawbacks, but you’ll be limited in your choice of tap by your existing sink; if it comes with two holes rather than one, you’ll be unable to install a single-lever or Monobloc tap. 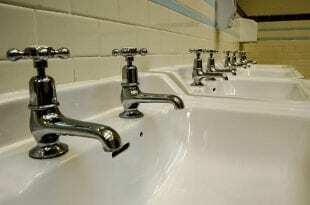 This is unfortunate, since in certain situations – like when you’re washing your hands – you might prefer to use lukewarm water, rather than rapidly alternating between very hot and very cold. Thankfully, there’s a solution in the form of a mixer tap – which works like a Monobloc tap, coming with a single large spout. This spout is attached to a mixer section – a pipe which bridges the two water supplies. This will give you the convenience of a Monobloc tap without requiring you to replace the entire sink. Before choosing a tap, it’s worth considering what additional extras many modern taps come equipped with. Sometimes it can be easier to move the water supply than move the thing you’re washing – particularly if that thing is especially heavy or an awkward shape. A pull-out spout will allow you to bring the water supply to where it’s needed. If you’d like to get boiling water on demand, without having to refill and boil a kettle, then you’ll be able to do so with the help of a hot-water tank installed just beneath your counter, which dispenses water on demand. While these devices are surely useful, bear in mind that they’re often designed to work alongside your existing tap, rather than as a replacement for it. If you’d like to enjoy freshly-filtered water straight out of the tap, you might want to consider a filter tap. These incorporate the function of a water filter, ensuring that you get a stream of filtered water whenever you pull the lever. A filtered tap won’t only improve the taste of your water; it’ll also help fight the build-up of lime-scale on the interior of your kettle. They’re therefore perfect if you live in a hard-water area. 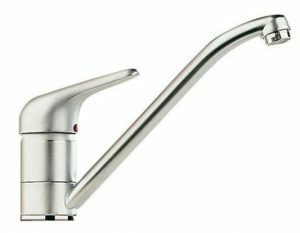 Buy from our range of high-quality taps today! 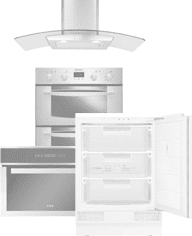 Options to suit any budget and interior with fast, free delivery and expert advice. On the inside of every tap is a valve, which controls the water-flow. Generally speaking, these valves come in two different forms: brass compression and ceramic disc. These are built from brass, and come with a rubber seal to prevent drips. Over time, this rubber might wear down and need replacing. Ceramic discs are more durable, and will often outlast the tap itself, making them a sensible long-term option. Some taps will require higher or lower pressure. By shopping according to the pressure in your home, you’ll ensure that you get a decent flow from your tap once it’s installed – but that you don’t place it under excessive stress in the process. What pressure kitchen tap do you need? To estimate the pressure for a given tap, you’ll need to first establish what sort of system you have. If you have a cold-water tank in the loft and a hot-water cylinder elsewhere, your system will use gravity to feed the water to the point of use. You’ll need to select taps designed for low-pressure systems, and ideally measure the distance in metres between the cold-water tank and the outlet in order to calculate the exact pressure. Most homes today use a combination boiler that’s fed directly by mains-pressure cold water, and can be rapidly heated to the appropriate temperature before use. Such systems are suitable for the vast majority of taps – and so if you own one, calculating the precise pressure shouldn’t be necessary.